What can you say about Jamaican Jerk Pork except that once you eat it everything will be “Irie man” especially if you chase it down with some ice cold Red Stripe beer. For those of you who are not familiar with Jamaican Jerk it is a cooking method AND a seasoning that originated in Jamaica a couple hundred years ago and has survived the test of time and you know that if it has been around that long it has got to be good. It is also very versatile but the two usual meats to receive the “jerk” treatment are Chicken and Pork. 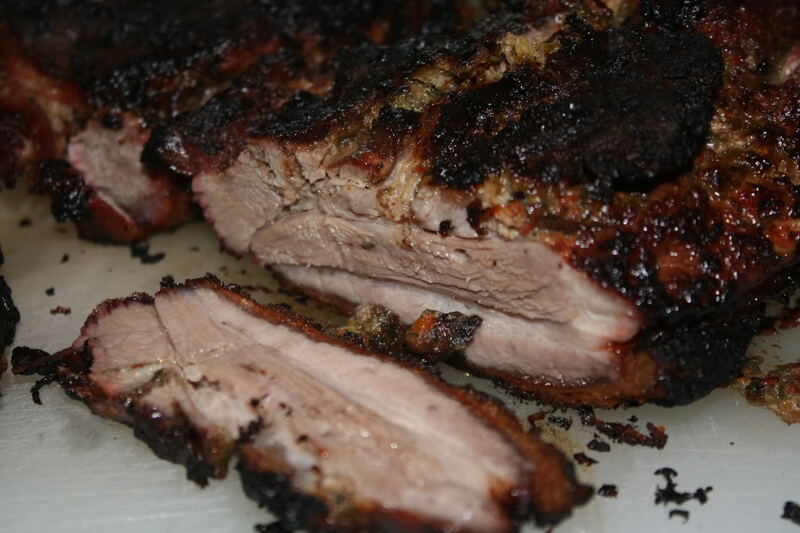 My favorite is Jerk Pork and so here is my take on a great classic Jamaican dish—- Jerk Pork. – Add dark Rum and blend until a nice paste is formed. I have found that the best cooking method for this dish is slow Indirect Charcoal BBQ’ing because the charcoal adds that extra bit of flavor to an already flavorful dish however if you don’t happen to have a charcoal BBQ then Propane or Natural gas will do just remember to only have one half of the BBQ lit. I hope you enjoy this “tasty but simple” recipe and I look forward to your next visit.